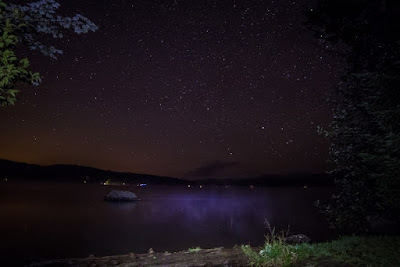 Vermont State Parks Night Sky Watch Part 2: Planets, Meteors, and Zodiacal Lights, Oh My! On September 3rd, Jupiter, Venus and our moon will line up to provide a special sight for viewers (and a great photo-op!) Look to the west about a half an hour after sunset. The thin crescent moon should be visible, with Venus and Jupiter to the lower right, close to the horizon. 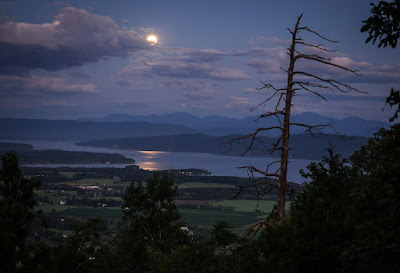 Like many of Vermont’s most wild places, Groton State Forest is off the beaten path, nestled between the Green Mountains to the west and the hills of the Connecticut River Valley to the east. This is one of Vermont’s largest publicly owned areas, encompassing almost 30,000 acres, and seven unique state parks. 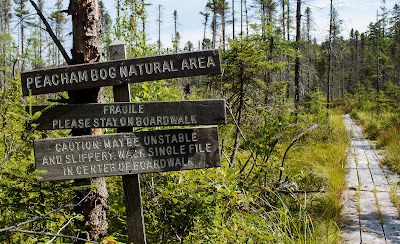 The forest and parks offer plenty of variety for adventurers, who come here to hike, bike, paddle, fish, camp, and relax. I spent a blissful couple of days in Groton State Forest this summer. 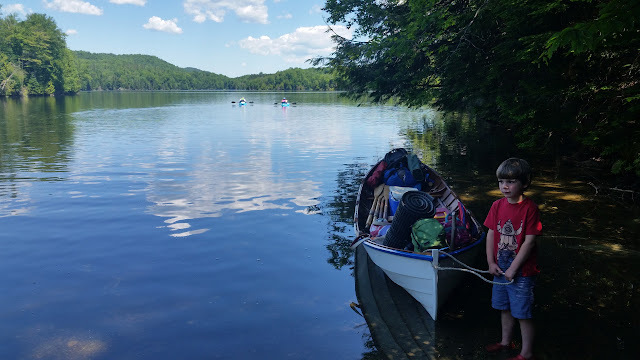 My home base was Ricker Pond State Park, but I spent lots of time exploring the lakes, ponds, mountains, bogs, and woods that make this place so special. 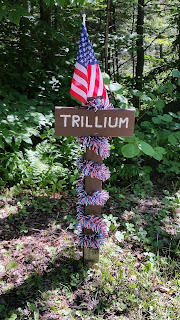 Here are my favorite adventures in Groton State Forest. Ann was getting water when our neighbour approached her about giving away their firewood to us. Apparently they weren’t having as much luck with the green wood as were having. The two ladies said they were going out for the night and wouldn’t be back until late. They were leaving the next day and wouldn’t need to have a camp fire. Ann accepted and when they left, we went up to help ourselves. Even though we had permission, it did feel a little uncomfortable to us. I managed to have one bar of cell service so I called our friends at Townshend to confirm that Music night was still at 7. I told Pat where we were and she said come on down. This camping trip was full of surprises right from the start. This Spring our calendar was filled with birthdays, graduations and weddings. There was only a short window of opportunity before our calendar would be filled again. In our world that is NOT a surprise. Looking ahead we decided to seize the moment and combine a camping trip with a visit to my brother and sister in-law who live in Massachusetts. It was a pleasant surprise to see the “skies” in our calendar part and make room for our plans. Camping in a lean-to in another state was not our first desire but it was the most logical, To our surprise we could not find a Massachusetts State Park with lean-to’s. Throwing logic out the window we opted for our first desire; a Vermont State Park. Our Expedition took root from a “reconnaissance” mission a year prior. We had left nearby lake Elmore and wanted to check out another Park before going home. Having a current car tag from Lake Elmore afforded us the privilege to enter Green River for free. This was the perfect time to check out the park. Our initial visit was short, as it was late in the afternoon and we didn’t feel like unloading our kayaks again. We stayed long enough to visit with the staff, take a few pictures and check out the boat landing. That was enough to wet our appetite for a longer visit. 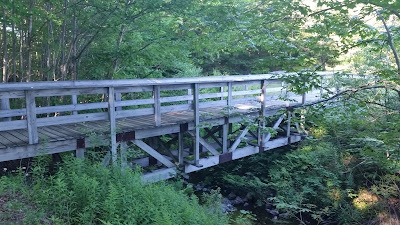 Further investigation through the Vermont state parks website made us hungry for more.